Sandalwood - (GRAS) Health Fusion Sandalwood (Santalum album) 100% Pure Essential oil is Wild Crafted in India & is a 1st distillation. Sandalwood has a woody, earthy, grounding, sweet, soft, calming aroma often used for deep relaxation, meditation, calming or to aid when stressed or depressed due to its said ability to aid the pineal & pituitary glands. Sandalwood like multiple other wood derived oils can aid with lung or chest complaints, coughs, catarrh or bronchitis as an expectorant. 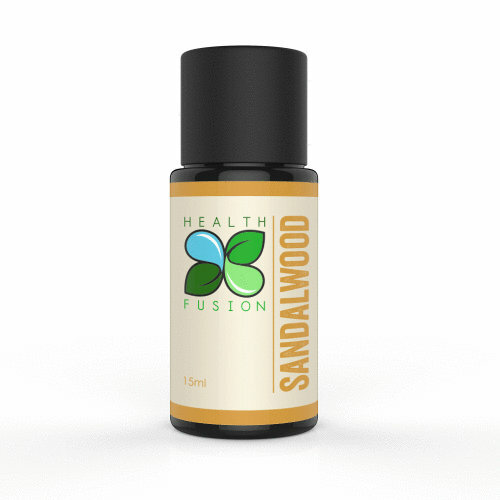 Sandalwood can be used as an astringent for skin complaints such as dry, cracked or chapped skin or acne & is often used in cases of impotence or as an aphrodisiac more specifically for men but also aid females with menstrual complaints.